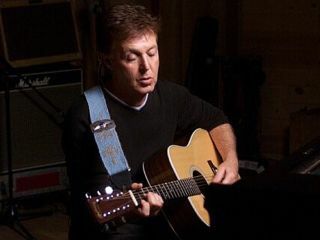 Paul McCartney is offering an exclusive new song for download at an online ‘dinner party´ he's hosting to raise money for the landmine charity Adopt-A-Minefield. The track, titled Lifelong Passion (Sail Away), is taken from a new album the ex-Beatle is working on with producer/Killing Joke founding member Youth. The album, the duo´s third outing together, will be released under their moniker The Fireman - whose past material has been described as ‘ambient electronic' music. The dinner party is being held as part of A Night Of A Thousand Dinners, a worldwide initiative to raise funds for landmine charities. For an invite to the bash, you must register on McCartney´s official website on 5th June and donate a minimum of $25 to Adopt-A-Minefield. You´ll then receive a download ticket and some recipes (vegetarian, of course) from chef Jamie Oliver. The song and recipes will be available until 12th June.